For so long we have been a family of three – two humans and a dog. Both with Guinness, and now with Mosa, we have ventured out into the world to see what we could climb, swim, hike and explore. We have always been happy as a trio, but now, we are ecstatic to be a quartet! 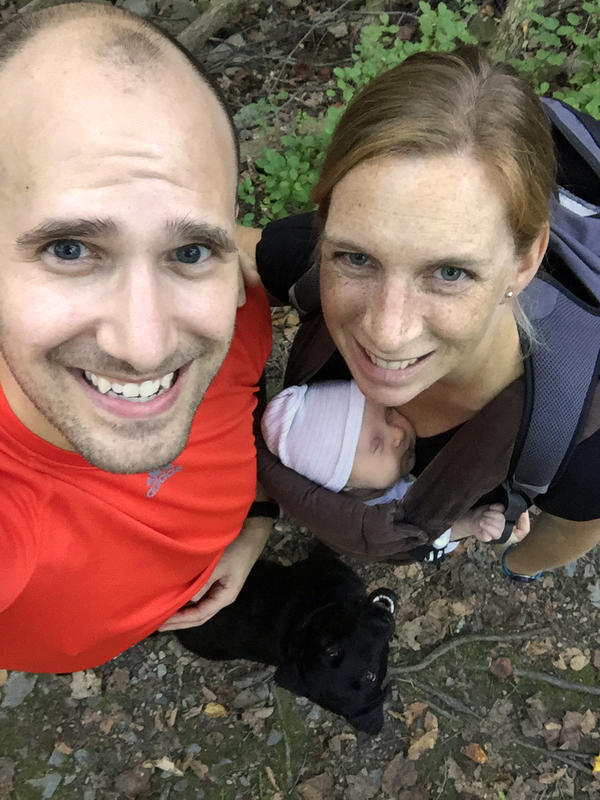 Piper, our new little human adventurer, joined and enriched our troupe on September 29th and is already creating new adventures for us. We had hoped she would be born in Africa, but even though her birth certificate is from Virginia, she will always be our little Mosotho girl – our Moeti. It is daunting, exciting, exhausting and invigorating to think of what we can help her to see and experience over her life. She already seems rather curious and calms down when we step outside, so I guess she definitely inherited some of our traits! Here is to a lifetime of adventure sweetie – hold tight and we will go out into the world together!